Now that is just too cute.. 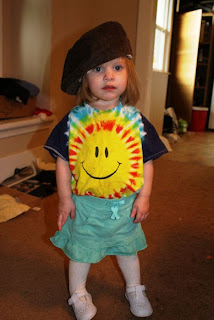 This is possibly the cutest outfit ever, Madi's definitely got her own style! :) How are you Krysten? Haven't talked to you in forever! Are you guys officially out of cold season?